There are a lot of interesting facts to learn about the Microsoft Azure data centers, as e.g. 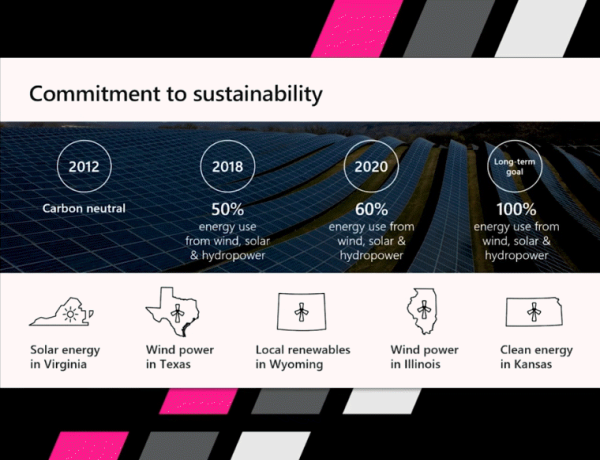 "Microsoft signed the largest corporate deal on solar panels for Virginia in the US in history, good for 257 Megawatts". The goal is to reach the 100% energy use from renewable energy. This video is available as a recording from Build 2018, see it on channel9 here as well as a ton of other cool session videos!